LEARNING FROM THE PAST: "Creed II" Is A Crowd-Pleasing Legacy Film That Resoundingly Stands On Its Own. Legacy. It’s a weighted noun; one that comes to roost in all individuals at some point in their lives. It is measured in every walking step of life, either evolving or crumbling with every passing second even if it is not a conscious consideration until much later in life. It is either something we create, we destroy, something to live up to, or something to live down. “Legacy” weighs heavily indeed in Creed II, and it is explored and examined in a surprisingly deep and affecting way. Of course, first and foremost, the film is either 1) the latest installment of a cinematic legacy; begun way back in 1976 with Rocky; or 2) the second of its own franchise, working to live up to the promise the film Creed hinted at. Either way, this film is the result of that legacy, and cannot but help to bear its burden. "Creed II" is the sequel to the most disposable of the Rocky films. Thirty years after the events of Rocky IV, we come to learn that Ivan Drago (Dolph Lundgren) has lost everything as a result of his defeat at the hands of Rocky Balboa (Sylvester Stallone, who returns to the role yet again and serves as a producer and screenwriter). Abandoned by both wife and country, he is an embittered pariah-in-exile whose only hope of redemption rests in his son, Viktor, a heavyweight contender who is a match for his father in his prime. When Adonis "Donnie" Creed (Michael B. Jordan) finally wins the heavyweight championship title, the Drago clan challenges him for it. For the Dragos, it’s a chance to restore honor to the family name. For Creed, it is the opportunity to confront his legacy head on, bearing the face of the family that killed the father he never knew, Apollo Creed (Carl Weathers, whose presence is felt in the film even though he is not). One doesn't need to have seen the previous Rocky or Creed films to enjoy this one, as it's structured in such a way that a layperson could follow it easily. By the same token, however, the film is dramatically bolstered by that cinematic history. While the film follows the Rocky formula to a certain extent, director Steven Caple, Jr., along with screenwriters Sascha Penn, Juel Taylor, and Stallone tweak it so that the end result feels fresh. But then, the Creed films as a whole are more Rocky and Rocky Balboa than Rocky II – V. The film is a raw and more human presentation, and not just because of its “street” undertones. Caple's direction is filled with close ups, lending itself to an immediacy and intimacy that reaches the viewer on a more personal level. It’s rich in characterization and, though the fight ring choreography is engaging and brutal, the real conflicts are internal as each character wrestles not only with the legacy they leave behind, but that of the seeds they plant. Furthermore, each character is broken in some fashion and are trying their best to make do with the pieces. Most impressive is that while they are the film’s antagonists, the Dragos are not villains. While Drago still harbors no remorse for killing Apollo, his failure has defined his life and has made a casualty of his son. Conversely, Viktor wants to redeem his father and his name. In fact, their inclusion in the proceedings make this film superior to the first Creed, as they provide a defined focus the first film lacked. On the flip side, Rocky is yet-again estranged from Robert (Milo Vetimeglia) and has no desire to again cradle the broken body of a Creed. And at the center of all this is Adonis, who’s still trying to balance being his own man and living up to his father’s name, as well as wrestling with the prospect of history repeating itself, even as he and his lover and partner Bianca (Tessa Thomspon) work to find their footing as a couple while maintaining their individuality. The narrative borrows beats from Rocky II and III (especially the former) to push the story forward, yet they're tweaked so that they don’t come across as hackneyed rehash. The downside is that the pace slows considerably in the middle. But this is one of those cases were “slow” doesn’t equate to “uninteresting”. There’s no navel gazing here, but instead successful investment of character that makes the slower-paced moments bearable if not involving. But when the action comes, it comes with an uncompromising in-your-face brutality that reminds us that violence is not a pretty thing. Kudos to the sound department for engendering wince-inducing effects that the audience is made to viscerally experience with each punishing blow. Unlike Balboa, who was practically superhuman at the apex of the film series, the underdog Adonis is more flesh and bone here, and he is made vulnerable in body and spirit more affectingly than Stallone was. Jordan’s acting ability is nothing short of phenomenal given his ability to evince the vulnerability behind his tough façade. Yet this film is equally Stallone’s, wearing his second-go-around as a supporting character as comfortably as Rocky’s old hat and jacket. The weight of his years and legacy hang over Rocky’s still massive frame, a man who’s still trying to find his place in a world that is no longer his, and not wanting to see the mistakes of the past repeat. The moment when he comes to realize why Mickey walked away from the Clubber Lang challenge in Rocky III is nothing short of sublime. For all the knocks Stallone has gotten throughout his career, it’s easy to forget that he always considered himself an actor first and strived to live up to that designation. His old friend and sparring partner Lundgren is even more revelatory here. His Drago is, given his culture, upbringing, and circumstances, a hardened yet broken man. He says little, but his mannerisms speak volumes. And there are two poignant scenes that strip the character down and subvert the audiences' sympathies. The same can be said for Florian Munteanu as the Viktor, the gargantuan wrecking machine…one who was not made so by cutting-edge Soviet sports science, but by the in-the-trenches grit and determination of his father. He, too, is not all that he seems, and his true motivation for wanting to take Creed down also flips the script sympathetically. Tessa Thompson, who continues to impress in both acting and her set of pipes, is equally compelling as Bianca. While hers is a supporting role, her character stands equal to that of Creed’s. And though she never played the part in the original films, Phylicia Rashad commands the Mary Anne Creed character (and the screen) as if she’s always played it, imbuing the character with the actress’ own innate dignity and grace. Rashad's Mary Anne celebrates the Creed legacy even as she is a casualty of it, and grounds the film with the perspective of a mother who stands to lose another one of her men, but with the strength of steel herself for the outcome and survive it. The film is also a celebration of the franchise’s rich legacy, recalling poignant moments in Rocky’s life, as well as peppering it with little Easter eggs here and there (Hi, Cuff and Link!). Yet it still manages to stand as its own entity. It is a film of both regret and redemption, of condemnation and celebration. Yes, some of it is formulaic, but it is by no means predictable…at least, not completely, and it does so to such an extent that this reviewer recommends bringing a set of handkerchiefs to the theater. Trust me, they’ll be necessary. This film honors it's legacy even as it modifies it and, at the same time, forges its own. 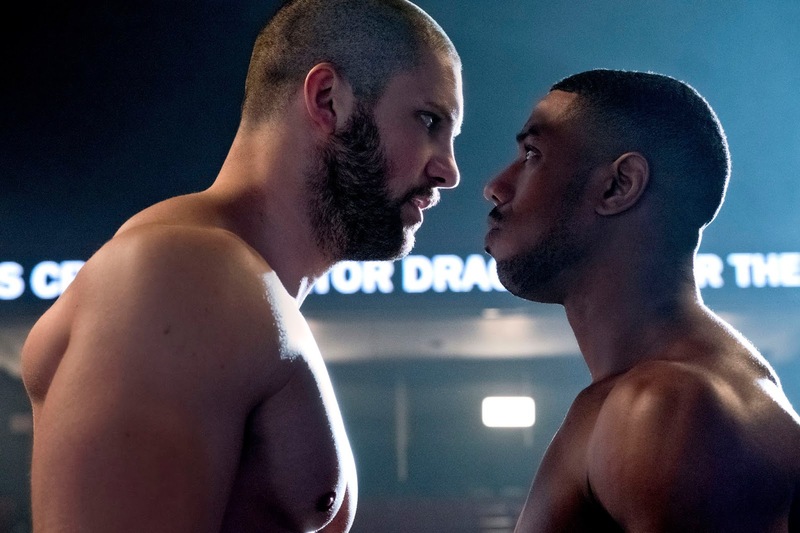 Creed II is a quality legacy film that only seems like pop fluff on the surface. It is so dense and thematically rich that this review couldn’t even begin to dig deep enough for analysis. Despite a meandering middle, it is a rousing and satisfying film filled with surprising acting performances. It celebrates its cinematic past while leaving the viewer wondering what tomorrow will bring. The past is not disposable, the future is promising, and that will be this film’s legacy. *Special thanks with gratitude to Ian Morris for proofing assist. I'm sure you've heard some iteration of the following phrase before: "That's ___ hours of my life I"ll never get back." When that statement's uttered, the somewhat humorous implication is clear: time was stolen. It's practically a crime. And, speaking of crimes, the Fantastic Beasts sub-franchise is a cash grab, plain and simple. Ok...all attempts at snarky thematic humor aside, the above statement is less indictment than it is statement of fact. Taking place sometime after Fantastic Beasts and Where To Find Them, Magizoologist Newt Scamander (Eddie Redmayne) is in quite a pickle. Under unwanted scrutiny from the Ministry of Magic, he's allowed the opportunity to travel abroad only if he accepts the offered position of Auror; a position he vehemently despises. Add to that that his childhood sweetheart, Leta Lestrange (Zoe Kravitz) is about to marry his high-ranking Auror Brother Theseus (Callum Turner), and that Auror Tina Goldstein (Katherine Waterson) is cooler than a Dementor towards him, the normally-flummoxed Newt is practically discombobulated. Oh, the evil Gellert Grendelwald (Johnny Depp) has escaped and is hot on the trail of the "lost boy" Credence Barebone (Ezra Miller), who holds the key to Grendelwald's ascension to power, and Queenie (Alison Sudol) and Jacob Kowalski (Dan Folger) are in the midst of a domestic dispute. Given all that director David Yeats, working from the noted-author’s screenplay, has a lot to juggle. It’s clear that Rowling is keen on expanding her Potterverse by world building a part of its past. However, unlike her original “Harry Potter” novels, which showed meticulous care and great attention to detail in every page with an organic flow, the script and presentation are cursory and haphazard due to the fact that the film tries to cram too much at once. As such, noted callbacks to the original story seem more an exercise in ersatz “name-dropping” as it is actual plot development. Further, die-hard Potter purists are sure to get their wands bent when the script plays the retcon game, and much of the action, while spectacularly rendered, lacks the weight necessary to hold much interest as it unfolds. Unfortunately, this carries over into the characters as well, as their motivations and presentation are so muddled that one could care less how the climax affects them. For example, the film violates the “show don’t tell” narrative rule frequently, allowing for some head-scratching developments. Perhaps Ms. Rowling will address them in the inevitable sequels. Perhaps not. The fact that the viewer is left to fill in the blanks on their own is a major weakness; egregiously so for those not chapter-and-versed in the Potterverse. But, again, the film is not without its charms. Redmeyne’s socially-awkward, absent-minded professor shtick as “Newt” continues to charm even the most jaded movie-goer, so much so that the film lacks when he is not on-screen. Equally as missed, due to the fact that she doesn’t appear until much later in the film, is Katherine Waterston’s “Tina”. Their chemistry together is beguiling and sweet, and serves as reminder that theirs is a journey of equals, two parts of a whole struggling to find each other. Dan Folger’s fish-out-of-water comedy misses more than hits, but his character’s good-natured and well-meaning presence still lightens the mood, even if his and Sudol’s story arc is less than satisfactory. Ezra Miller is fascinating actor to watch, even if one is not quite aware of what he’s doing…which fits his character of "Credence". Jude Law’s take on an earlier version of a familiar character is all his own yet slyly hints at the individual he’s destined to become. Controversial though the casting was, Johnny Depp hangs up the proverbial phone and turns in a sinuous, charismaticly-arresting performance as the film’s big bad who acts as analogue to the current socio-political landscape, and adds a chilling element to his performance. If he had done this in his other established franchise, he might have not risked losing that gig. * Unfortunately, Zoe Kravitz is left with the short end of the stick. Her "Leta" never seems to rise above stock, despite her connections to both the main character as a piece and the universe as a whole. Yet to varying degrees each character is a victim of the busyness of the script. Artistically rendered, it is a beautiful film to watch. The sets are evocative of early Disney, wherein one could feel themselves transported to a land of pure imagination. **The special effects, while still weak when it comes to kitchenware, improves with each film; especially the fantastical beasts who have such personality to make one wish they existed in real life. James Newton Howard’s score carries the film, blending original orchestrations with call backs to John William’s beloved score, carrying the film as it should, even keeping the more lackluster sequences buoyed. 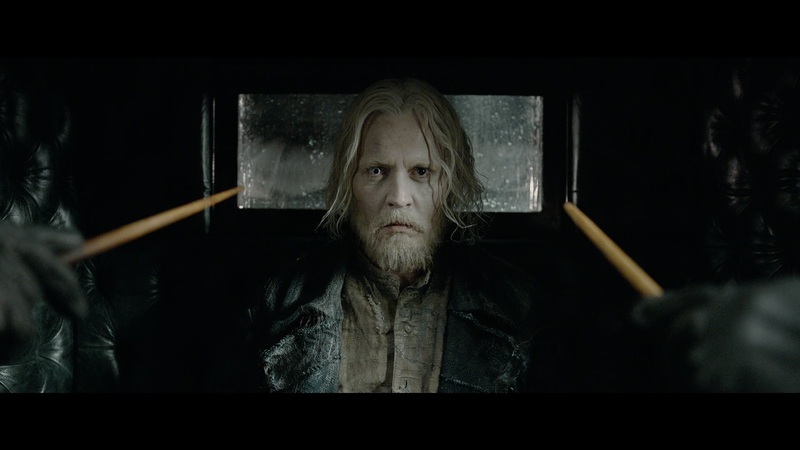 But the film is, ultimately, “damn[ed] by faint praise.” While it does have good elements, The Crimes of Grindelwald is the weakest entry of all the Harry Potter universe films. In truth, it fails to deliver on the faint promise delivered by the first Fantastic Beasts. Thus, it robs the audience of its expectations, and that is the biggest crime this film could perpetrate. *Though other factors are mitigating that possible casting decision. **Statement cribbed from a non-Disney film.